One of the more interesting astrophysical discoveries of the 20th century is the fact that the universe is expanding. The result was so unexpected that even Einstein discarded its prediction within general relativity. Einstein went so far as to introduce an extra constant in his equations specifically to prevent an expanding universe model. He would later call it his greatest blunder. But how do we know the universe is actually expanding? For this we need to use the handy-dandy Doppler effect. You might remember that the observed color of light can be effected by the relative motion of its source. If a light source is moving toward us, the light we see is more bluish than we would expect (blue shifted). If a light source is moving away from us, the light is more reddish (red shifted). The faster the source is moving, the greater the shift. We have measured this color shift for lots of stars, galaxies and clusters. We’ve also determined their distances (exactly how will be a post for another day). If we plot a graph of the distance of galaxies and clusters versus their redshift we find something very interesting. I’ve plotted such a graph below, and you can see there is almost a linear relationship between distance and redshift. Distance vs speed for galaxies. This means galaxies are not simply moving at random, as you would expect in a stable, uniform universe. Instead, the more distant the galaxy the faster it is moving away from us. This relation between distance and speed is the same in all directions, which means the universe seems to be expanding in all directions. Since this relationship is linear, you can fit this data to a line. The slope of the line is known as the Hubble constant, named after Edwin Hubble, who was one of the first to observe this relationship. 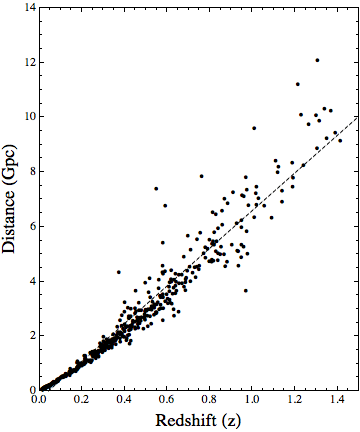 When I did a simple linear fit to the data (the dashed line), I got a Hubble constant of 68.79 km/s per megaparsec. This is in the range of the accepted value. Of course if the universe is expanding, then it must have been smaller in the past. If we assume the universe expands at a constant rate, then we can trace its size back in time to a point where the universe would have zero volume. In other words, the universe has a finite age, and it began very small, very dense (and therefore very hot). We call that starting point the big bang. If you do the math, the age of the universe is simply the inverse of the Hubble constant. Given our value, this puts the age of the universe at about 14.5 billion years. More accurate calculations put the age at 13.75 billion years. This is definitely one of my favorite posts… Complexity made concise! Ever since Neil Tyson Grayson did that show on national geographic I’ve been blown away by astro physics. Is the universe expansion ability infinite? Has this been addressed? How could that be measured? I’m no physicist and know so little. As a former college professor in non-science areas, I always told students that “no questions is a dumb question” to encourage students to ask questions without fear of being labeled “dumb.” My curiosity compels me to ask these questions anyway and expose myself as an ignoramus on questions of this kind. We aren’t sure whether the Universe will continue to expand forever, or if it will stop at some point. It really depends upon the nature of dark energy, which we don’t fully understand. There is actually a lot of research going on in this area. that the universe is expanding at an ever increasing pace brought the 2011 Physics nobel to three Scientists. did not edwin Hubble find that back in 1929? Some folks think Hubble should have gotten a Nobel, but he didn’t. 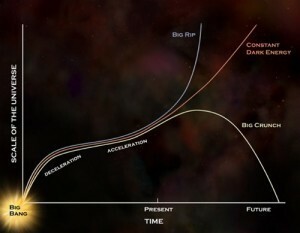 The 2011 Nobel was for discovering the acceleration of cosmic expansion, not just expansion. you are wrong. Hubble found that too because the red shift is not random but is directly proportional to the galaxy’s distance from us. Or in other words the farther a galaxy is, the faster it is moving away. ( Chapter 3 Page 41 The Brief History of Time of Stephen Hawking). You should now think like ‘ some folks’ shouldn’t you? 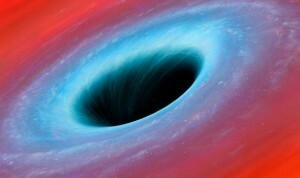 About the rate of expansion Hawking writes it is 5% to 10% every thousand million years. No, I’m not wrong. Hubble found a relation between redshift and distance that appeared to be constant (cosmic expansion) Schmidt, Riess, and Perlmutter showed that the Hubble parameter wasn’t constant, thus confirming dark energy (cosmic acceleration). Read that again please ” Or in other words, the farther a galaxy is,the faster it is moving away” if that is not ‘cosmic acceleration’ what is? M.Bhowmik you need some basic physics lessons. You are the one wrong here and you are not realising it because you are so convinced to be right. 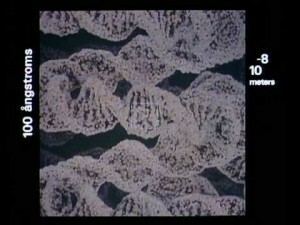 Given a constant distance, the rate of expansion will not be constant over a long period of time. This is what gave them the nobel prize, you folk. We are not speaking of speed variation in relation to distance, we are speaking of speed variation in relation to time itself. Re Mr Bhowmilk. 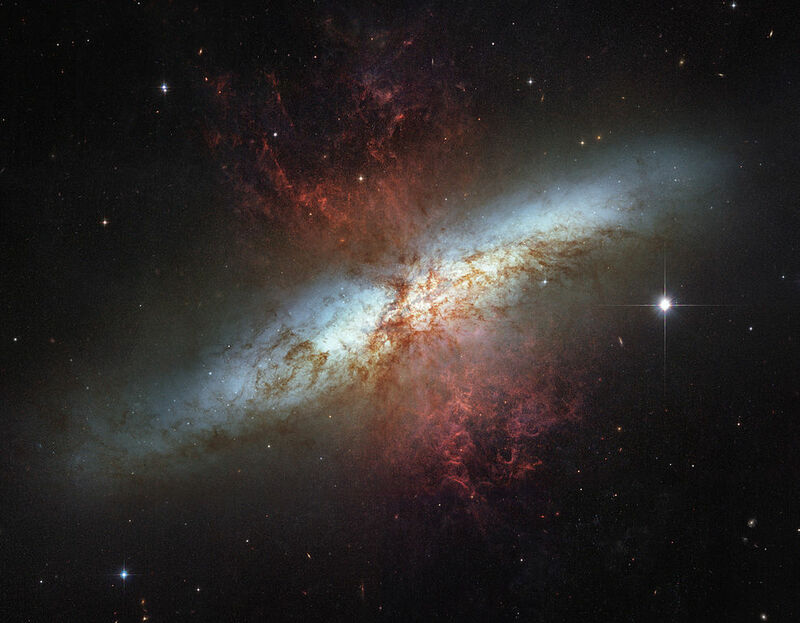 Double the distance, double the expansion velocity – this was the expansion discovered by Hubble. This is linear expansion. In the 90s Accelerating expansion was discovered – double the distance, MORE THAN double the expansion velocity. Got it? At red shifts larger than 0.4 most of the points are a long way from the straight line. Is this solely the result of errors in measuring large distances? Even a quadratic curve would have many outliers at z > 0.4. This is actually a small sample of galaxies, and not at particularly high redshifts. In general redshifts can be due both to cosmic expansion and galactic motion. At higher redshifts the cosmic expansion dominates. more dark matter must be continually leaking in from outside our brane it could not have been all there in the beginning. does any one know where the graph is from ? I made it. It originally appeared in a textbook I wrote.